Children of God, devoted husband and wife to one another and parents to Benjamin (2008), Naomi (2010), Samuel (2012), Jacob (2014) & Aaron (2016). Steve has lived in Southampton (UK) since he came here as an Economics student in 1997. Steve never left after finishing his studies and after an internship (2000-2001) with a Christian organisation worked for a Pensions administrator in Salisbury before leaving in 2008 to work with that same Christian organisation full-time. Debbie studied in Cardiff before moving to Southampton in 2002 to also serve on the aforementioned internship (2002-2003). That internship year morphed into a part-time role alongside studying as an Occupational Therapist. Eventually this developed into a job at Southampton University Hospital which Debbie did until the arrival of Benjamin. 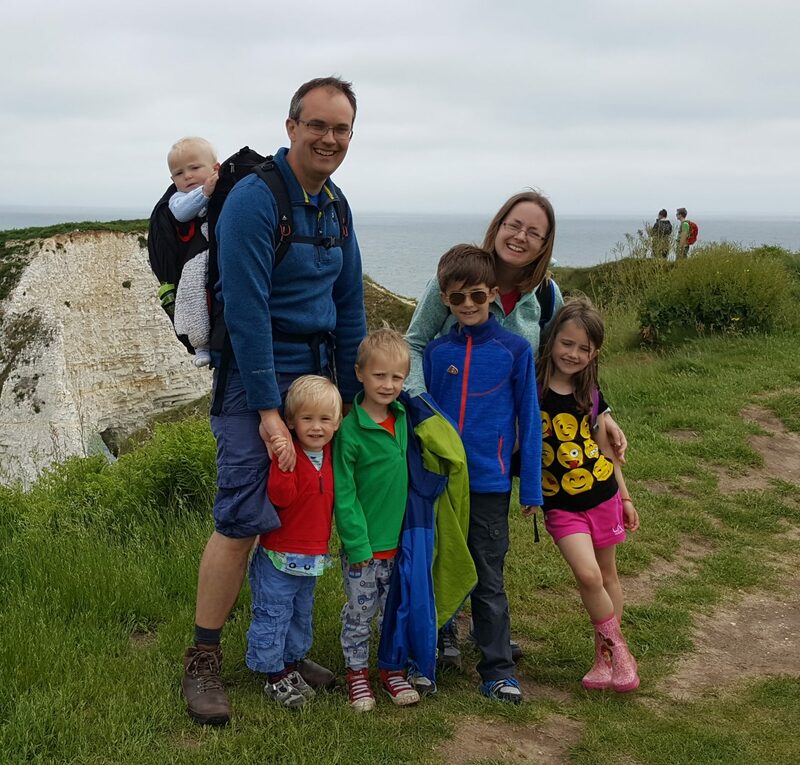 Alongside looking after our five beautiful children we both continue to work in the area of relational disciple-making; helping others to grow in their knowledge and love of the Lord Jesus Christ. We have ongoing opportunities to spend time with some great people both here and overseas as well as to teach and write about questions of faith. Most of the articles featured on this blog are written by Steve but there are also a few from Debbie (always credited as such). Debbie is a huge inspiration for Steve and is the real hero in our family. We trust that all that you read here will be helpful, true to the Bible and would love to hear your questions, comments and ideas for further development.